For whatever else may pose a threat to your vehicle's road performance, our knowledgeable auto specialists provide a number of other miscellaneous auto services. And because our work is guaranteed, you can rest assured that you're receiving the best workmanship possible. Let us know how we can help you! Contact us at 231-843-3414 to set up an appointment for additional quality auto services. Sometimes auto repair needs arise long after most auto repair shops have closed (most auto repair shops close at 6 pm). With after-hours drop off services, you leave your car at the mechanics shop for repair even if the shop has closed. You simply fill out an envelope, put in your keys, and drop it in a drop box. The auto shop will only contact you when your car is ready or when they need additional information. At Avenue Tire & Service, we value your convenience and that is why we offer after-hours drop off services. A completed Drop-Off Form will help the mechanic diagnose any problems. Even if we have closed, you just drop-off your vehicle at our shop and our mechanics will work on it and contact you when it is ready. Do you need wheels while your car is in an auto repair shop? To cope with your busy life while your vehicle is with a mechanic, we offer a free loaner car. A free loaner car lets you have wheels while your car is in a mechanic's shop. Avenue Tire & Service is one of the few auto shops that offer free loaner cars to their customers. At Avenue Tire & Service, we are ready to provide assistance and help you when your vehicle has broken down. A prearranged appointment is necessary and subject to availability. In certain circumstances, auto shops offer pickup and delivery services. This is whereby the auto shop picks up the vehicle at your work place or home, works on it, and delivers it after it is fully repaired and serviced. This saves you time and money. The p/u and delivery service can be either free or paid for. At Avenue Tire & Service, we offer free local pickup and delivery whereby we routinely pick up your car from your home or workplace. We want to make the task of having that car repaired/serviced as stress free as possible. This service is subject to appointment. When you drop your car at our garage for repair and servicing, you don't always have the time to wait until we've finished servicing your car. To get your busy life going on, we offer free local shuttle services. At Avenue Tire & Service in Ludington, MI 49431, we offer free local shuttle services to our customers. This service allows you to conveniently go back to your day's routine as we work on your vehicle - you don't have to wait at the shop. This service is by appointment. An extended warranty (also known as a service contract) can provide peace of mind to most car buyers. The warranty (or service contract) kicks in after the usual manufacturer warranty has expired. An extended warranty covers major breakdowns and evens out the cost of repairs. Unfortunately, not all auto repair shops accept extended warranties. At Avenue Tire & Service in Ludington, MI 49431, we accept most extended warranties. We let you use the service contract to save on auto repair costs. Are you planning to buy a new car? Don't take chances. Be confident about the car you are buying. Have pre-purchase inspections performed on the vehicle. Pre-purchase inspections involve examining the car's condition to ensure it is worth buying. At Avenue Tire & Service, we have pre-purchase inspection experts - mechanics who will scrutinize any car, make, and model and allow you to make an informed decision. Pre-purchase inspections will definitely give you peace of mind when you buy your next used car. A pre-trip check up can make the difference between a safe trip and one that ends in a tragedy. The inspection aims at looking for possible defects and potential mechanical problems that could cause disaster. Before embarking on a trip you should make sure your car is fully inspected for safety. You can rely on the experts at Avenue Tire & Service. We have pre-trip inspection experts who are able to conduct safety inspections on any car, make, and model. Our experts are dedicated to ensuring you have a safe trip. Simply drop by or give us a call at 231-843-3414. Although a trailer does not have an engine of its own, it does require some maintenance. The trailer needs wires to move current to the brake lights and other lights at the back. Avenue Tire & Service has qualified and experienced electricians who will handle your trailer maintenance. Call us at 231-843-3414 to schedule an appointment. Polite, willing to explain all aspects of the work done. I am very happy with my service here. What ever problem I have with my vehicle John or Johnny always seem to know the problem and will explain the repairs that I need. Also they can tell me of upcoming possible repairs that I may need. They are very patient with their customers and they go the extra mile. Hard to find good service like that. I recommend this local shop to anyone. I love my oil change guys. Always friendly and helpful. We are moving out of state in the next couple of weeks and I will miss seeing those guys every now and then. 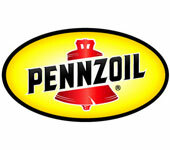 Thanks for such great service both in the oil change area and any time we have had our cars serviced there. Service is always great at this local shop. They will always tell you if you can wait for the repair or if it is an immediate need. Did the work I had scheduled and were very helpful with the unforeseen. They made every effort to keep the work on budget. I had another satisfactory visit to my favorite auto repair shop and will return for more work rather than taking my vehicle to the dealer. Service is one of the best I have ever dealt with. The people were great to work with they did an excellent job. I always feel like the employees treat me like a valued customer and almost like "family". The young gentlemen that serviced my car was extremely nice and polite. He seemed to do a super job in a very timely fashion. The folks at Ludington Avenue Tire & Service were helpful and professional. They helped me find a new tire at a good price, and even helped me with the warranty on my flat. Great job. The Ludington Avenue Tire & Service shop has maintained my 15 year old 170,000 mile Ford for the last 6 years. This appointment was a great example of their trusted service: I thought I had transmission issues and had asked for a flush and screen change at $170. They test drove the vehicle and found the engine was miss firing and cancelled the transmission work, Made time for hood lock repair and an oil change. All well performed and reasonably priced. I can't recommend this location any higher! Great people that do their job well! Quick, great service! Thank you as always. When I unexpectedly needed more work than originally planned, Johnny offered me a loaner car to run my errands. When my errands were complete, I came in & waited. That young man handled quite a barrage of questions, phone calls & customers with great professionalism, courtesy, knowledge & the ever present smile! Good Job Johnny!!! Very satisfied with the service I receive at Avenue Tire & Service. If I wasn't satisfied I feel comfortable with talking with them and coming to an equal agreement. Thanks for fixing my 2002 Ford F-150. It had a blown #2 spark plug in January. You fixed it quicker than first estimated and more importantly, a lot less money than quoted. I will still be your most loyal customer for future trouble and repairs, keep up the good work! Always friendly, informative, and helpful. I was very pleased with the service that was provided to repair my car. They replaced my exhaust system on a Saturday, same day service. Great work, great price. In and out promptly. Service was good and workmen friendly and attentive. ...I wasn't just pleased...I was impressed. ...Excellent assistance and I would gladly recommend this facility to others.